Imagine that you decided to develop an application for converting from JPG, BMP, WEBP and PNG to PDF, which you think is useful for users, and developed it. It’s a good function and sometimes useful, but what for? For example, sometimes banks ask for PDF instead of pictures and you have to try to collect 5 images, for example, JPG to PDF, this is the goal you set for yourself. Next, you create the application anyway, and there arises a question concerning its promotion on Google Play. You search it and find ... 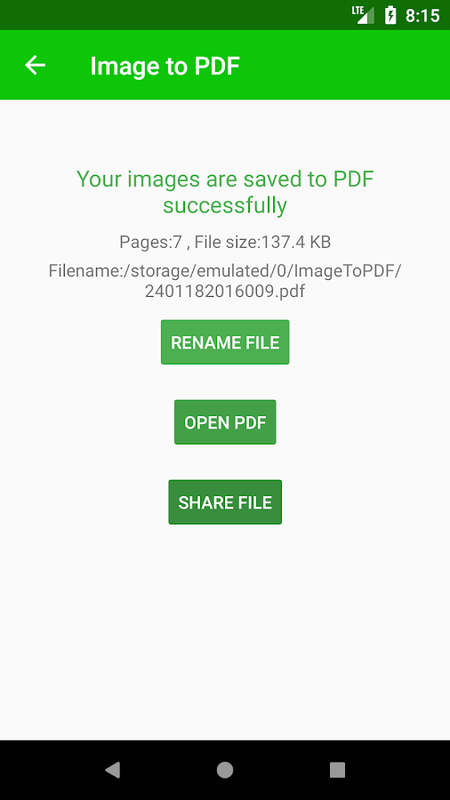 It turns out that your application has analogues and there are 120 of them ..., try typing "Image to PDF" on Google Play and see for yourself. 95% of applications have the same design with the only difference in colors, icons and the one who released it. It looks like a whole village of Indians had a task to release the application and place it on Google Play to get 100 installations in a year, because no one in their right mind will place the application and without trying to promote it. By the way, it's quite a good idea to place the application template and sell samples – it’s much more profitable. Upon the whole, there is a trouble with this. The second trouble is that after a month the application never appeared on Google Play, for the same reason, I believe - the niche is occupied by 1000% and nobody knows how to promote. That's why we decided to tell you about it here. Add images, there are supported JPG, PNG, WEBP and BMP formats. These are native formats for Android. We support native formats to not make this converter online. 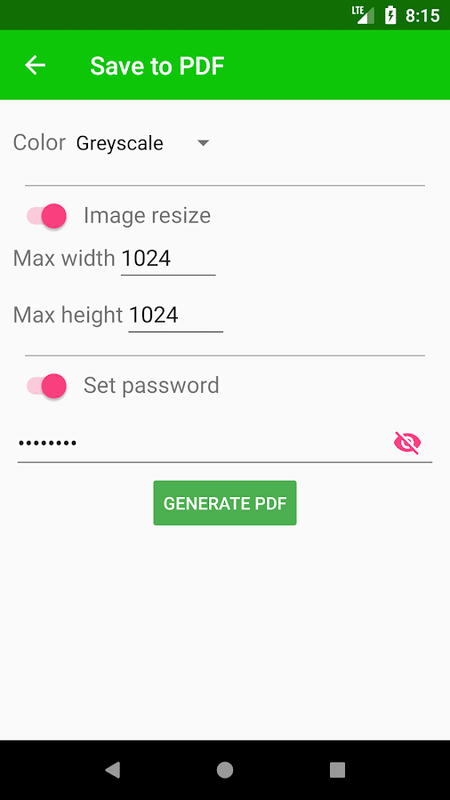 If you have images that do not open in Android - you can use our online image converter. Set the settings you want (maximum image size, password, color) and click on "Convert to PDF"
Wait for the result and proceed with the necessary further steps (you can rename your file, send it to someone, or open it to evaluate the result). We understand that now the number of functions is minimal, but if the application turns out to be in demand, we will necessarily increase their number. If you have any suggestions – email us or in the comments at the bottom of this page. Sort by name: A-Z, Z-A, by the time the files were created. 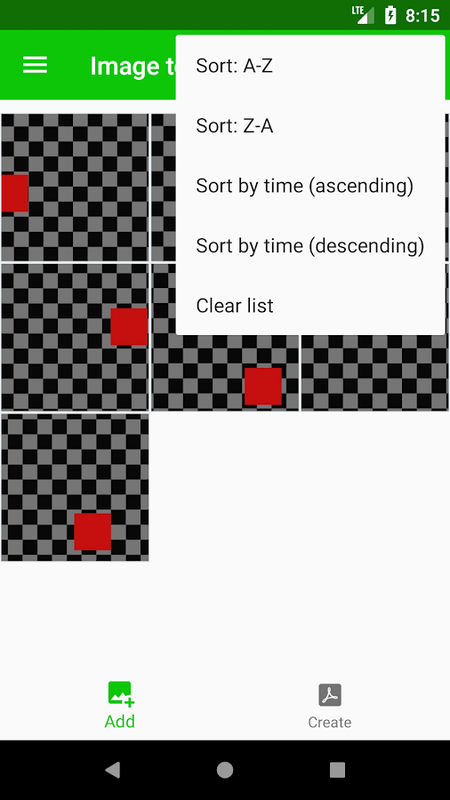 To delete one image (swipe to the right) or all images (in the "Clear list" menu). Color (as it is, shades of gray, black and white). Set the maximum image size (proportions are preserved). File renaming after generation (by default, a file with the current date and time is created). Make a format choice option of images stored in PDF, for example, to make all files be saved in JPG format with the specified size reduction ratio, then the output will be a PDF file in which, say, is engaged a fully-featured converter from JPG to PDF, or, say, if you know that your images will look better when using the PNG format, then you just select it from the list and get the converter from PNG to PDF. The next step is to specify the page format and make the image fit the page size, then, it will be ideal for printing.